Bluegrass Horse Feeds Winter League is on Saturday, October 20. 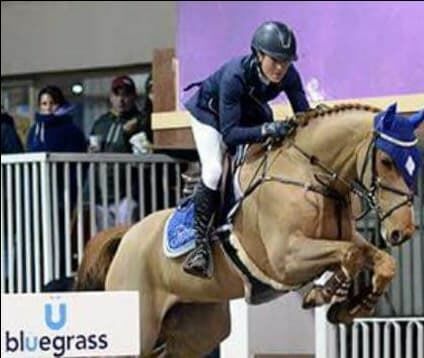 The second round of the Bluegrass Horse Feeds Winter League takes place this Saturday and anyone with double clears can win Bluegrass Horse Feeds vouchers. This Saturday (October 20) is the second week of our Bluegrass Horse Feeds Winter League in the Bluegrass Arena at Portmore Equestrian Centre, and, after a great start to the league last week, we are really looking forward to meeting this week's competitors. Last Saturday was the first round of this unregistered showjumping league and there was a great turnout for all levels. The league, which we created as part of our 20th anniversary celebrations, welcomes riders to compete across nine different classes. Not only are you in with a chance of winning vouchers for all double clears but you can also win a Christmas Hamper if you compete three weeks out of five to compete in the final on week six of the league which is running throughout October and November with the final taking place on December 1. Last week there was a great turn out for all levels starting with the 'Nice and Easy Cubes X Pole Class' where we watched the young riders of the future. We also saw some lovely horses being produced from the 'Stamm 30 70CM Class'. You don't have to register in advance and each class will be £10.00 to enter. The league will run throughout October until November so come along on Saturday and get involved. This week's league will take place outdoors.